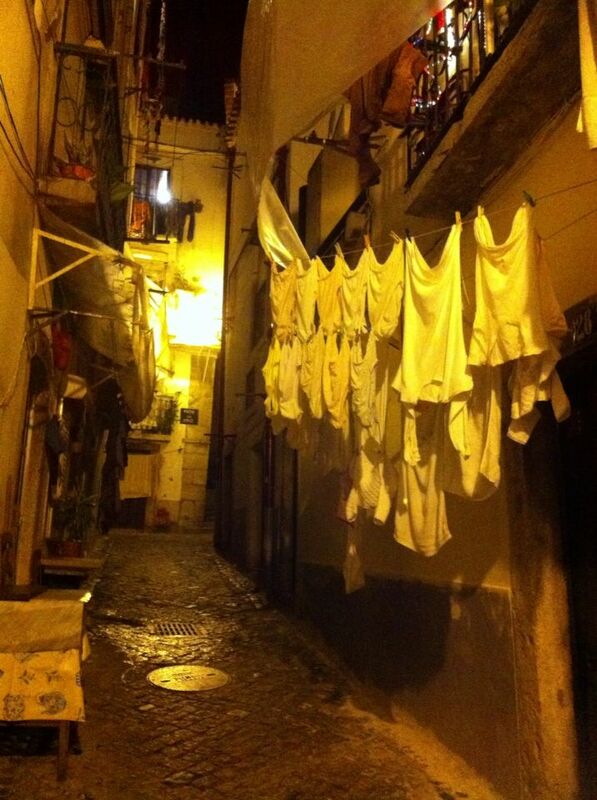 Alfama is one of Lisbon’s most antique and picturesque neighborhoods. It survived the earthquake and tsunami in 1755 and is characterized by narrow streets, cluttered housing and many tucked away patios with a wonderfully vibrant, contrasting village style life. You’ll find from the most funky uptown designer shop to the typical miniature “sell-all” grocery shop – take a pick and don’t forget to take your camera along with you for a well worth a walk through this maze, Night brings a haunting atmosphere to the streets. Noce capture–I like the glow against the drama of the alleyway. Happy Phoneography Challenge. Like the light and the atmosphere of the photo.